Jeff Pina Writes and Draws Stuff is creating Comics! Art! Stories! Hi! I'm Jeff Pina and I love to make comics and art! I've been self-publishing over 10 years now, also working on projects for Valiant Comics, Big Dog Ink, Moonstone and a lot of my fellow indie folks! For the last 6 years, making comics and selling them on the comic con circuit has been my full-time job, and now I've added stay-at-home-dad to that list! This Patreon will help support pretty much everything from paying the bills, to keeping my comics going. The ultimate goal is to jsut be 100% on the comics (and the dad part =). I've also included some other artwork I do, as I'm also known for a 'Chibi' art style that I make by hand. 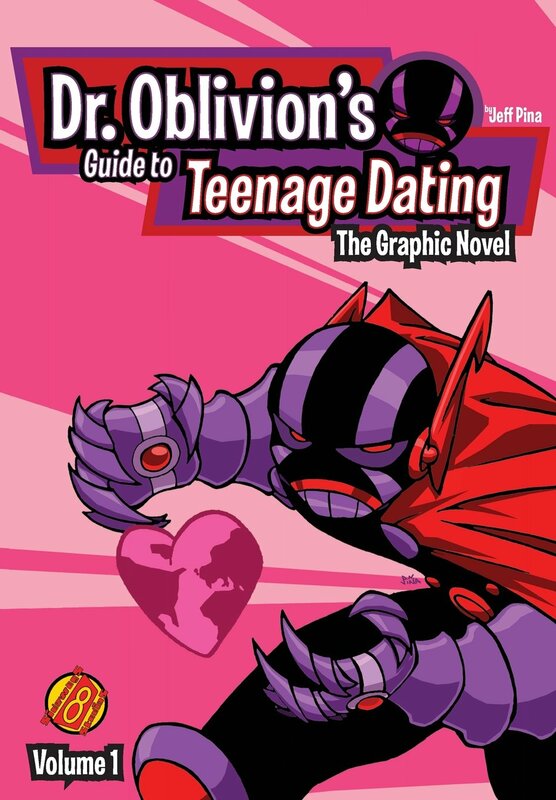 DR. OBLIVION'S GUIDE TO TEENAGE DATING - A super-villain's teenage daughter starts dating the town's teen super-hero! IMAGINATIVES - A group of misfits find a device that turns their imagination into reality... only the original owners want it back for their own dark purposes! SUPERPAWN - Two slacker brothers work at a pawn shop that sells equipment to superheroes and wannabes! BOSCO & FLEET: DETECTIVES OF THE OCCULT SCIENCES - A talking octopus and gorilla solve occult crime in Victorian London! NICHOLAS CLAUS: THE WARRIOR SAINT - The tale of Nicholas Claus and the dark, sad things that happen to him on his way to becoming Santa Claus! GHOSTRONAUT - Mike Cramer died on the planet of death. Resurrected as an agent of death itself, he sails the space-lanes for the dead trying to return to the living as... GHOSTRONAUT! Thanks for the support here at Patreon! On this tier, you'll get first dibs to purchase any 5x7 Ink & Marker Sketches I do, before I post them on social media or take them to shows or artwalks! On this tier, you'll get to see new Comic Art and Chibi Art before it's posted on social media! You also get first dibs on any 5x7 Ink & Marker sketches I make! So on this tier, you get preview art of Comic Art, Chibi Art and first dibs to purchase any 5x7 Ink & Marker Sketches I make (before they are taken to any shows). You'll also get updates during the month on what comic or artbook I'm currently working on, including taking a peek at the thumbnails and scripts! There will also be exclusive stories posted here that will only got straight from here to print, that you'll get to read waaaay before they hit print! You get all previous tiers, PLUS a monthly wallpaper, every 3 months a FREE 5x7 Ink & Marker Sketch of your choice mailed to you (domestic, must be part of this tier for all 3 months)! So, with $1500 a month, I could shift over to a 100% stay at home, working solely on creating my art, and continuing to be a stay-at-home dad! This could also allow me to take on a few more shows a year to get into other markets I currently don't go to, but would like to.